Studies show that only 8% of people achieve their New Year's Resolution. 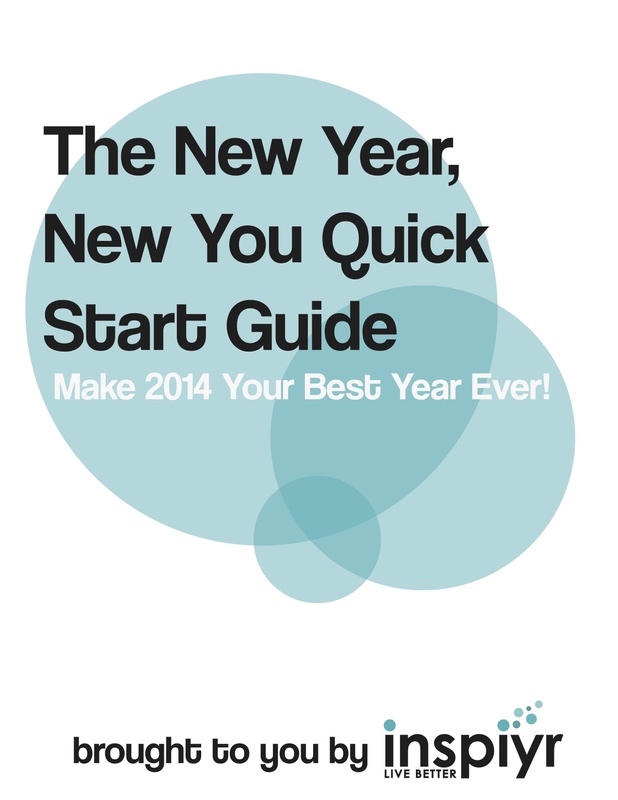 Online personal growth publisher, Inspiyr.com (http://inspiyr.com), aims to improve that with its newly launched "New Year, New You Quick Start Guide" (http://access.inspiyr.com/2014-quick-start-guide-buy-now/) designed to help people procrastinate less, gain more confidence, and learn the steps needed to achieve their New Year's resolution. New Year resolutions are often spoken about but rarely achieved. Online personal growth publisher Inspiyr.com seeks to change that with its newly launched "New Year, New You: 2014 Quick Start Guide" (http://access.inspiyr.com/2014-quick-start-guide-buy-now/), a product designed to help readers procrastinate less, gain more confidence, get healthier, and learn the steps needed to achieve their New Year's resolution. Studies show that only 8% of people achieve their New Year's resolution each year. Inspiyr.com (http://inspiyr.com) CEO & Founder Dan Cassidy believes that people can increase their chances of achieving their resolution, and improving their life, by following proven steps the world's most successful people have used for decades. "It's great that people set new goals as we enter a new year, but too often their motivation to achieve their goals fizzles out after only a few weeks, or less. The New Year, New You Quick Start Guide was created to not just help people go into 2014 excited and motivated to achieve any goals they set for themselves, but also to help them stay motivated through 2014 and beyond." Cassidy says the product was created by his team from the ground-up after studying personal development programs and interviewing countless experts in the field. "Our audience has asked us for a system that can help them live better. And what we've built aims to do that. Whether your goal in 2014 is to be healthier, make more money, have better relationships, or anything related to self-improvement - this product can help." Students of the New Year New You Quick Start Guide can expect increased confidence, motivation, and energy, along with learning how to build their own custom goal achievement plan. "The problem with lots of success programs is they talk about what to do, but they don't show you how to do it", says Cassidy. "Our system guides people through each of the steps needed to achieve any goal so they'll be able to develop their own customized plan." Included with the system is a nutrition guide to help readers eat more whole foods and less of the worst processed food-products that line most store shelves, and reports that help people become more confident, procrastinate less, and discover their calling in life. Those who buy the program will also receive 30 days of audio tips & motivation to help them stay motivated and excited as they work to achieve their goals. People interested in learning how to beat procrastination, get motivated to achieve their goals, become more confident, have more energy, and stress less can purchase the New Year, New You Quick Start Guide by visiting http://access.inspiyr.com/2014-quick-start-guide-buy-now/. Inspiyr.com is an online magazine helping people become healthier, happier and more successful through proven tips and daily motivation from experts in health, wellness & personal achievement. Visit http://inspiyr.com for more information or sign up for a free email newsletter here http://access.inspiyr.com/get-started/.